It’s time your business started planning for 2018! The calendar year may not be over, but the fiscal year will be soon. Now is the time to plan and budget for the marketing you’ll do in 2018. Don’t wait until you’re behind the curve! The Bag Ladies have decades of experience helping small- and medium-sized companies promote their businesses affordably. Here are a few suggestions to jumpstart your marketing efforts in 2018. If you’re a brick-and-mortar business, promo materials should be your lifeblood! T-shirts, calendars, and of course, beautiful promotional bags are a great way to keep your logo visible for longer. Your business is already using social media, right? (If not, what are you waiting for?!) 2018 is the year to take things one step further and reach out to “influencers” who can get more eyes on your brand. 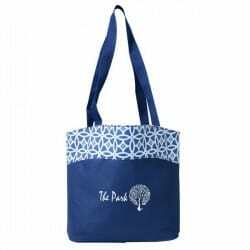 Send free tote bags to past clients with large followings, for example, or free samples to people actively engaged with your target customers online. If you haven’t invested in an SEO strategy, now is the time. Make an effort to claim your businesses’ local listings and reach out to a local SEO expert if you need to – spending time and effort on your online presence will pay dividends for years to come. Your customers don’t just want your product, they want your expertise. You’ve got tons of platforms for promoting useful industry-related content: an onsite blog, social media, printed books, etc. Spend some time aggregating the information and photos you think your audience would find useful then publish! Maybe you don’t want to partner with a direct competitor, but approach businesses in your area or field you think are complementary to your own. A dog groomer might be a great marketing partner with a doggy day care, for example; tap into the base other people have cultivated! Having trouble developing loyalty? 2018 is a great year for incentivizing past customers to come back. The best way to do this is through deep discounts, special product previews, and giveaways. There’s no better customer than the one you’ve already done business with. Need help marketing your business in 2018? The Bag Ladies is your source for a wide selection of custom promotional bags. Whether you need a small order or have a huge bulk order, our team is as friendly as they are professional. Call us today at 1-800-359-BAGS! Time to Get Ready for Holiday Shoppers!